Time for an update on three crowd-funding projects I happen to be invested in. Yep, that's me. A sucker for novelty and slick marketing. Oh well. Looks like Pono is officially a "go". Ahem. Yeah. 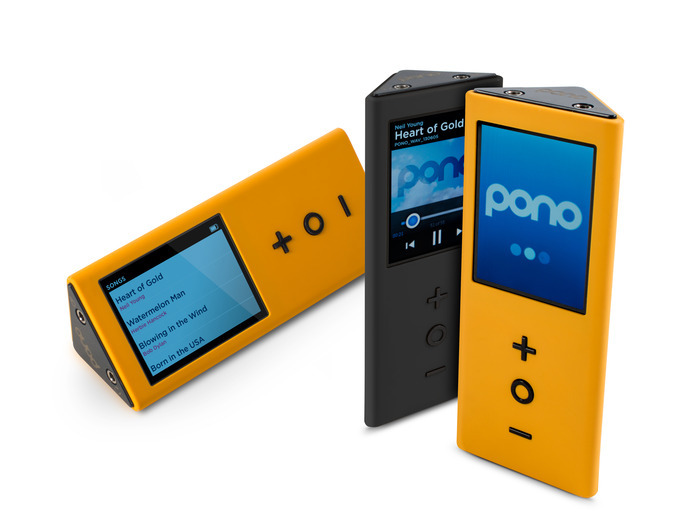 At six-and-a-quarter million, I think it's safe to say that the Pono team has successfully "reached out" to the market. Now, all that remains is ... well, the everything else. They have to deliver, both the device and the service. That latter still seems something of a mystery. Where's the content coming from? Will it be better, worse, or the same as what's currently on offer from other services? And why are those high-res albums so expensive? And will Apple eat this entire market for lunch? All TBD at this point. As for the player, there are all those odd oversights -- no DSD support and an oddly-high output impedance which will make pairing with modern headphones actually capable of taking advantage of the high-res files and high-quality playback rather problematic. Questions, questions. But now, the Pono team can actually start with the business of getting to business. That's probably a good thing. I'll have more after talking with CEO John Hamm at AXPONA. Next up is Hagerman Technologies and the latest iteration of their high-tech, low-cost phono preamp called Cornet. This project is also fully-funded, and with about a week to go, HagTech is almost 3x over their goals — good news for them and for lovers of affordable hi-fi. No real questions here — just happy to see this get off the ground in such a convincing way. Which brings me to a larger point: I see this as an excellent case study in how to run your one-man biz in today’s high-end. Low risk, high reward, what’s not to like? Small shops take note. The latest (and to some reports, last) crowd-funded/crowd-sourced campaign from the LH Labs crew that brought us the wildly successful Geek Out, a USB DAC dongle, and the Geek Pulse, the desktop version of the same, is back at it with their take on the digital audio player. Instead of replacing your iPhone or Android phone, the new Geek Wave is a piggy-back device. It provides local storage and playback via a version of the Geek engine found in the other two products, but also allows playback and control from the connected smart phone — and charges it at the same time. Not sure what phone you’re going to have in 6 months (hello, iPhone 6)? No worries — the connector is swappable. Unlike the previous two LH Labs campaigns, Geek Wave seems a bit slow off the blocks. Not that 65% of goal in the first week is anything to sneeze at and given the trajectory, it’s fairly clear that this project will move into fully-funded status well in advance of the deadline, but I had expected this to fly off the shelf (as it were). Too many dips in the well? Unclear! But I signed up for mine, and I’ll be writing about it when it shows up. Absolut interessting projects, which are ongoing these days. @pono – yop, I got one. At least it’s another mobile player for my flac and wav collection on it. Design is quite unusual – let’s see how it handles in the everyday life. Any competitor in the mobile DAP segment is another chance to make something better than today. @cornet – unfortunately this one is a special part for vinyl lovers and as I do not own a phonoplayer at the moment, this one I had to pass. @geek wave – this LH campaign leaves me something of uncomfortable. I backed both previous campaigns and did not got anything from LH. So I do not have a picture of the ability of the Geek products (your review of the geek out helped but will not substitute any personal experience). I think the goal is quite unclear: another DAC for mobile devices with external controls? Or a DAP with streaming ability (Larry is repeating constantly: both (-:) – I am not sure if the combination of hardware and external software is a core-competence of LH, which seems to be absolut experts in building DACs. I hope to read about more crowd-funding campaigns here in future!